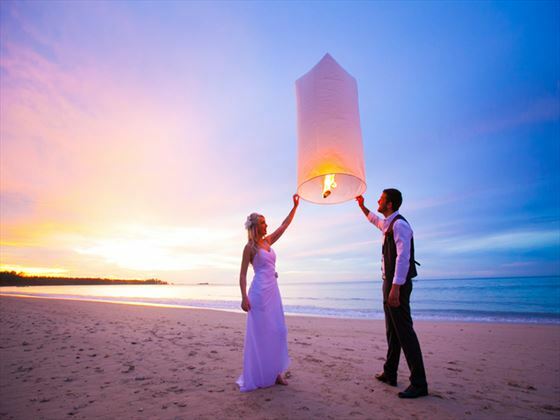 Romance is something we celebrate and encourage at The Sarojin. 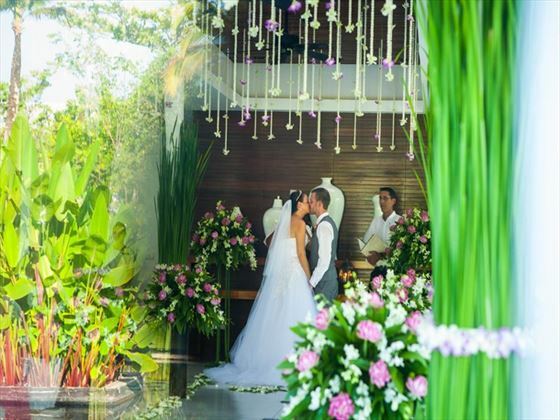 Our gorgeous tropical location, private venues, idyllic guest residences and 'Imagineering' service have all been designed to give you the most memorable and intimate getaway possible. 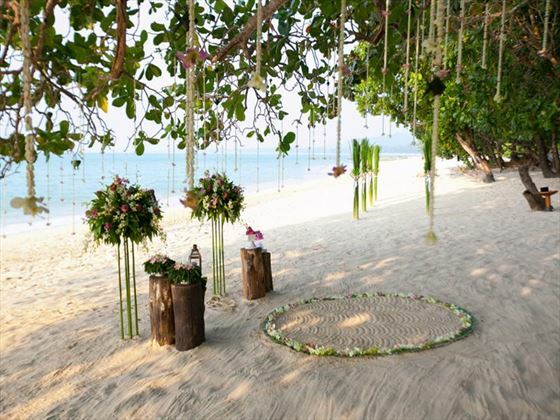 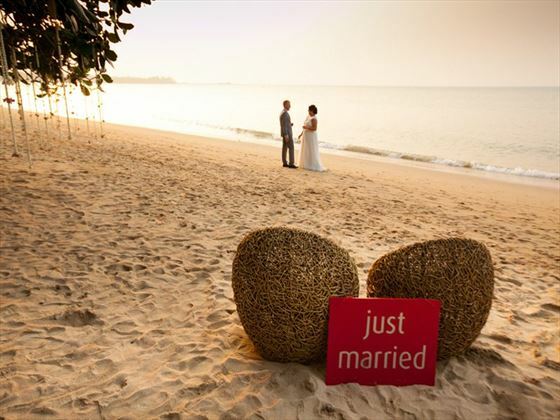 The wedding ceremony can take place on either The Sarojin beach under the shade of an old sea almond tree, or within The Sarojin grounds under the ancient ficus tree and / or inside the Ficus covered area.